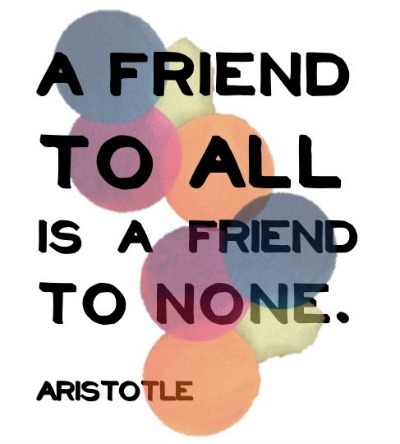 THE WRITING BUDDHA - Opinions | Books | Movies: A Friend To All Is A Friend To None!!! It’s first Sunday of August and everyone is celebrating Friendship Day. I believe if it’s been celebrated then we should be hanging out with our friends somewhere but as I am sitting at home and writing this post on an active Sunday evening tells how great friend I am for people who know me. Haha! Friendship is the only power that keeps powering an individual to stay happy whenever he finds his life in trouble or depression starts creeping in. You need friends around you who understand you very well so that in situations when you are clueless which way to move, they hold your hand and show you the real path. In my life, it has happened several times when I was doubtful about my next step and didn’t want to discuss the same with my parents, a friend helped me to understand my priorities and get my decision right. The problem with us that we aren’t making friends and cherishing friendship with them but just collecting friends these days by adding as much in our list as possible. I see some of my friends who keep stopping their bike after every 5 meters because they meet one of their so-called friends. And when I ask them not to stop for each one of them, a reply I get is “Abey tu nahi samjhega dosti kya hoti hai. Ye sub karna padta hai”. And whenever someone uses this word “Padta”, I understand how much genuine the act is. Anything that makes you do something and you do not want to do it isn’t something that’s coming right from the heart. Isn’t it? Our attitude should always be to have few friends but of such quality that they are right with you when you need an opinion as your brain isn’t functioning in its best manner. These days’ people end up calling even their colleagues as friend. Just because you are having your tea breaks and abusing the organization with someone, the person does not get promoted as friend in your life. Will that colleague take leave when you would be requiring him for a day? I have recently seen how people didn’t take half-day leave for an ex-employee’s marriage that they called their friend. Such fast-paced announcement when it comes to friendship should be consciously done as once someone is called a Friend, that person may also begin misusing you. And remember, enemies are always attacking from front. It’s a friend who always backstabs you. A friend is one for whom you do things without thinking about your loss, money or time. And it should be mutual from both the sides, otherwise just like love stories, even such friendships should be ended with a final Full-Stop. Friendship Day is a reminder for us to remember our friends with whom we are unable to share as much time as before. A call to them or just a message can refresh the communication gap. It can also be a surprise to someone who must be thinking that you have forgotten him/her. Let’s celebrate a Friend with a phone call or an audio message on Whatsapp who is unable to join you for hang-outs and trips because of married, professional or personal responsibilities. Let’s assure him/her that we are still with them and they can disturb us for help whenever they feel like. A very Happy Friendship Day to all of you.